with Keynote Speaker Leroy Hood M.D. PhD. 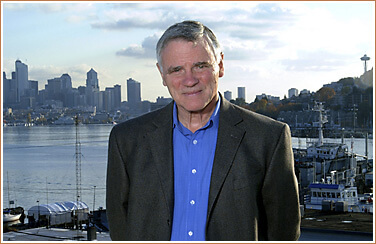 LEROY HOOD M.D. PhD, an International Award Winning Scientist, predicts a revolution in your healthcare centered around just one drop of blood . Within five–ten years your doctor may order a routine screening test that will be able to tell you if you have a brain tumor – even before an MRI or CT Scan become positive or even before you become symptomatic! Should you be diagnosed with a brain tumor, your doctor will be able to spare you from suffering ineffective chemotherapy or radiation therapy. All of this medical knowledge and more will be made available from nothing more than just one drop of blood!